Designed to be Stacked Three High with a Stationary Bottom. Wheels can only be used when not stacked. Maximum capacity is 3,000 lbs. total. 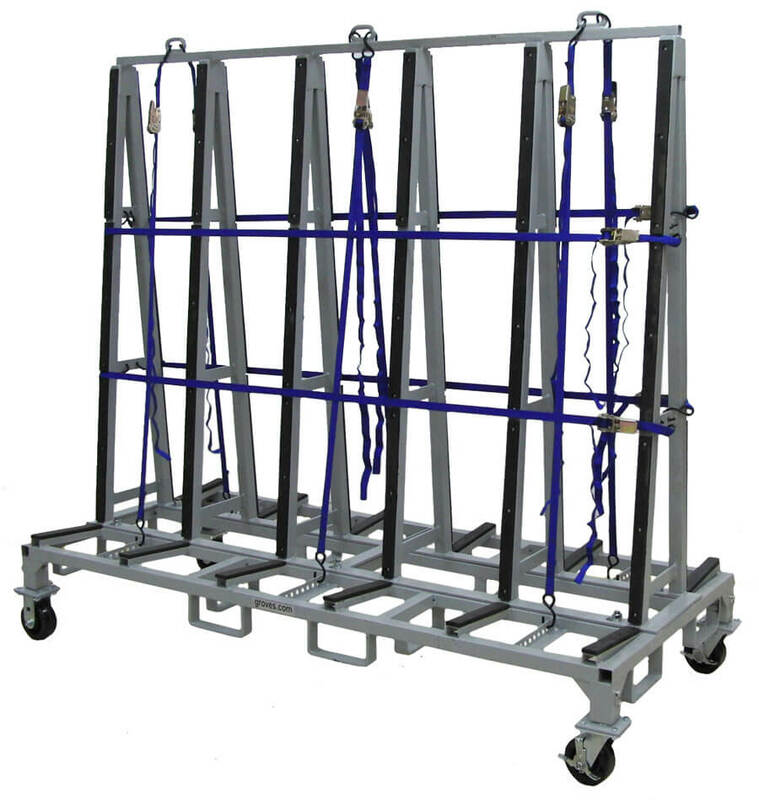 One rack can hold 3,000 lbs. 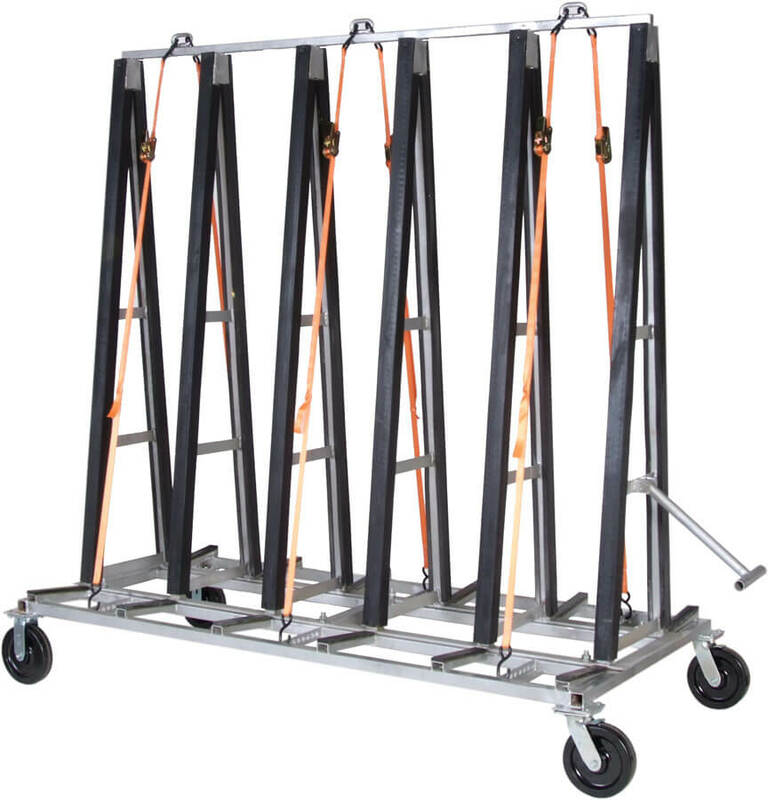 If stacked three high, each rack can only hold 1,000 lbs. Will roll through a 30” wide door opening. 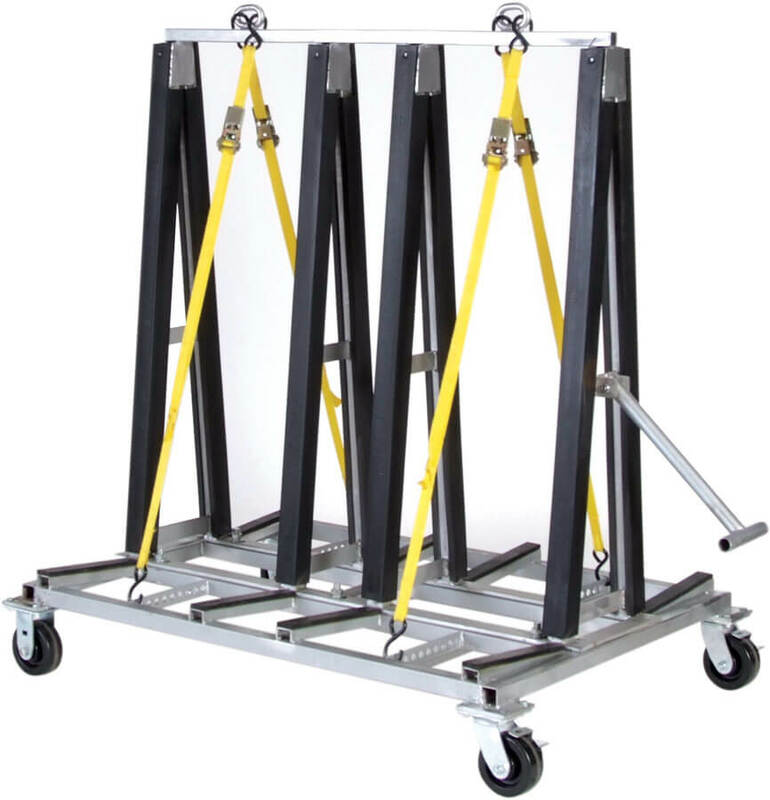 Removable front legs for easy hand loading and unloading. 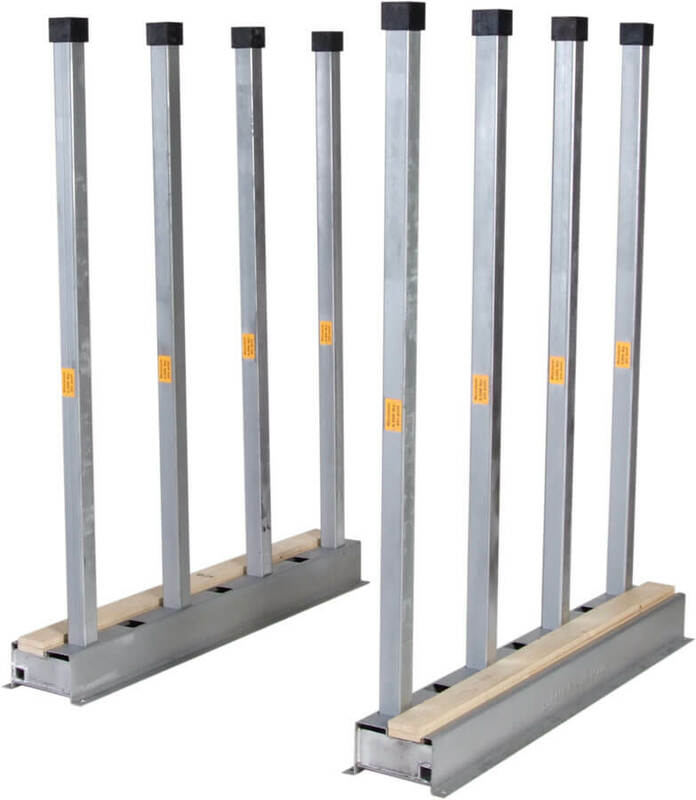 Hold down bars to secure the material to the box and prevent damage in transport. Cable hooks for crane handling. 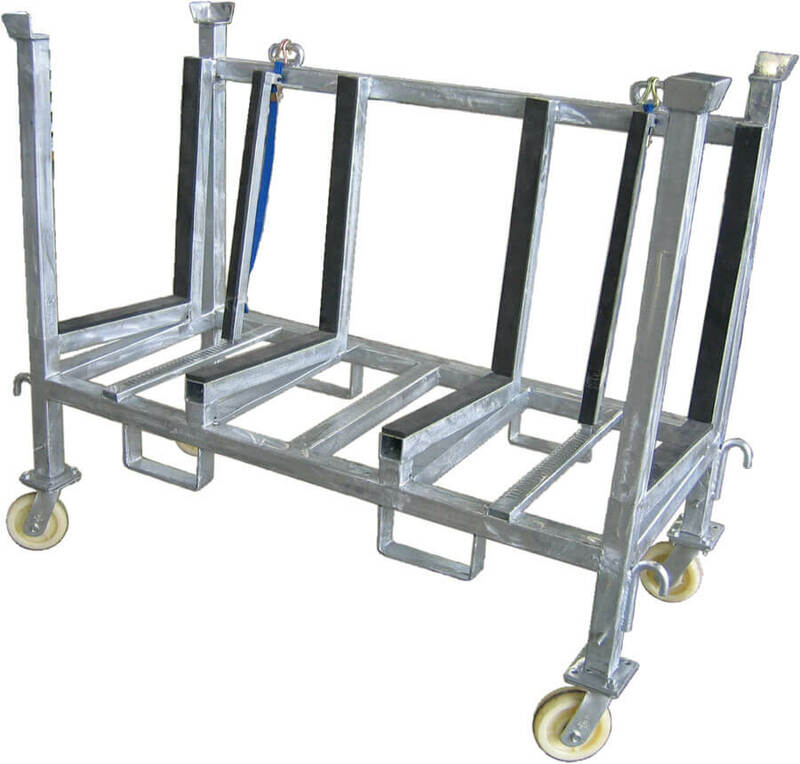 Optional 5” diameter Casters, two rigid and two swivel. 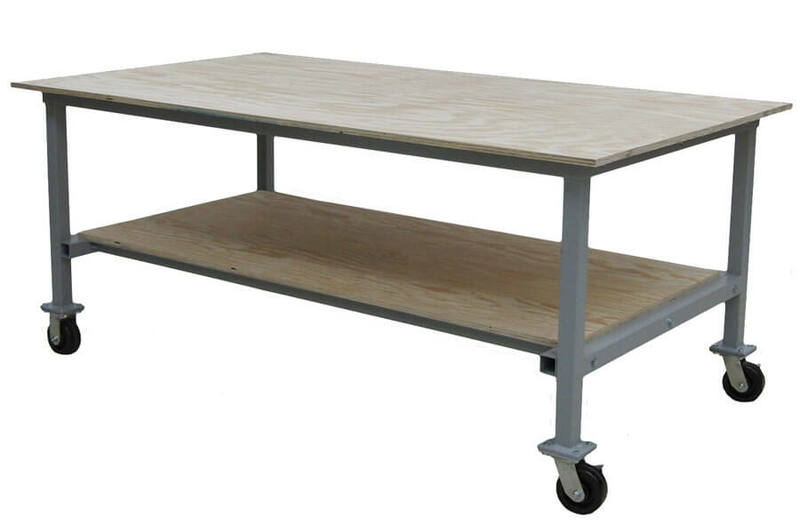 SKU: SR-1 Categories: Installation, Stacking Racks, Stacking Racks, Stone, Storage Dimensions: 37.5" Long x 29.5 Wide x 42" High, 48½” overall height w/casters Weight: 200 Lbs. Storage of remnants, cut offs, strips and cut to size pieces. 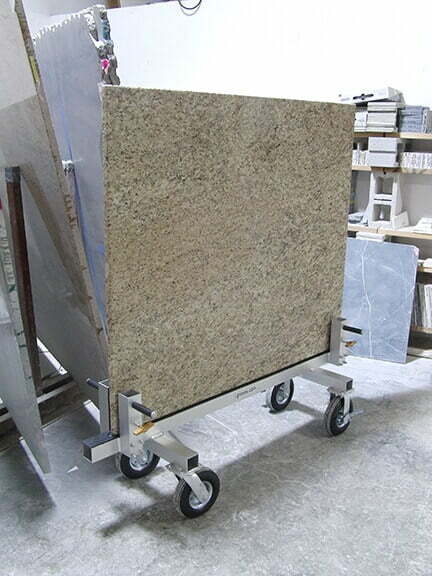 Jobsite cart for safe transport and handling of countertops, vanity tops, saddles, sills and stair treads.